In 1943, Horn volunteered for assignment with "Merrill's Marauders," a deep penetration unit under the command of Maj. Gen. Frank Merrill. During five months of field operations in Burma and western China, Merrill's Marauders completed an 800-mile trek across the Himalaya Mountains on a mission to cut Japanese communications and supply lines ahead of a planned joint U.S.-China attack. Horn was one of fewer than 1,200 men who survived the campaign, and was wounded in the chest, back and jaw before finally being evacuated. He is a recipient of both the Bronze Star and a Purple Heart, and is recognized along with all the members of Merrill's Marauders by a Distinguished Unit Citation for "gallantry, determination and esprit de corps in accomplishing its mission under extremely difficult and hazardous conditions." Following his discharge from the U.S. Army, Horn returned to the Fort Belknap Indian Reservation. 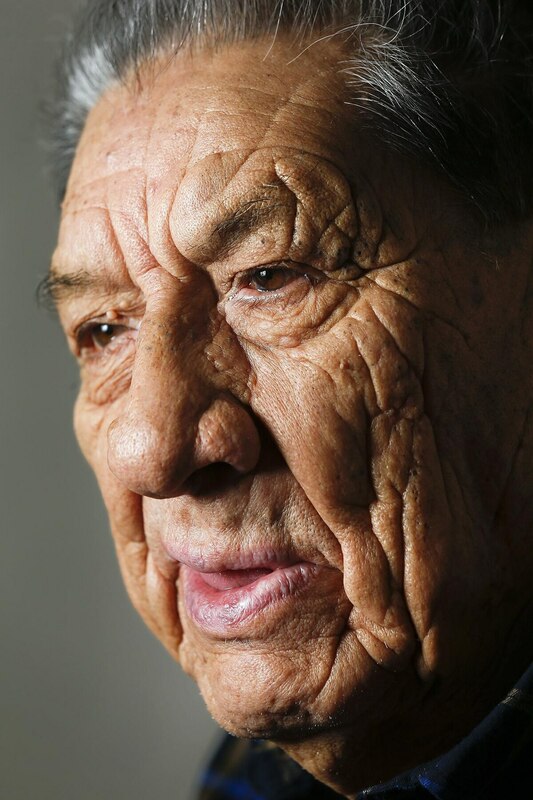 In addition to assuming duties on his grandparents' farm, Horn served as a member on the Fort Belknap Community Council for 19 years, wrote the first regulations for the Fort Belknap Tribal Juvenile Court, lobbied in Washington, D.C., for a new tribal health clinic and served as chairman of the Rocky Mountain Region of the National Congress of American Indians. In 2013, MSU-Northern awarded Horn an honorary doctorate in humanitarian services. One year later he was named honorary chief of the Fort Belknap Assiniboine Tribe, a title not previously awarded since the 1890s. A new early learning center on the Fort Belknap Reservation has been named in Horn's honor. Horn is survived by 11 children, 37 grandchildren and nearly 90 great- and great-great-grandchildren. He will be interred at the family cemetery east of Fort Belknap Agency on Wednesday.